One of the important thing for system administrators is to monitor the free disk space on servers. In this article I’ll will show how to monitor your free disk space from remote computers in your network and create a disk report with the results with PowerShell. 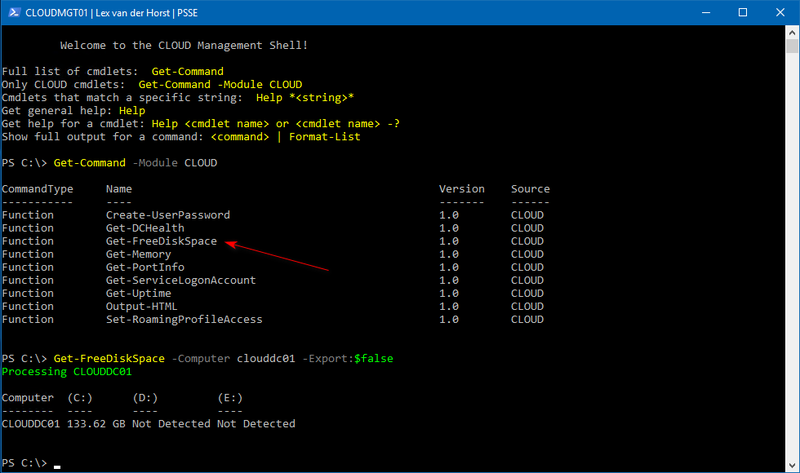 The PowerShell function below is based on Get-WmiObject cmdlet which gets instances of Windows Management Instrumentation (WMI) classes and it will check the free space on the C, D and E partitions. By using the switch option you can change description of any disk partition. Get Free Disk Space from Remote Computer. Get Free Disk Space from Remote Computer and export Free Disk Space report. Identity of the Remote Computer. Create Free Disk Space report. Write-Warning "Failed to connect to the computer $Computer"
Write-Warning "An unexpected error has occurred." $Value = "$Freespace" + " GB"
$Object | Add-Member -Type NoteProperty -Name "$Val" -Value "Not Detected"